Something that we eat EVERY week. Ricky actually craves these & asks for these every week. We prefer the Santa Fe burger over all the others... but I like all the flavors I've tasted. This little guy turns 3 on Saturday. We just saw him in January & when they came up this past weekend, he looked SO BIG!!!! Like, how do kids grow so much in a month? Dont get me started that the oldest is going to be double digits this year. My brain may explode thinking about that. I'm a idiot when it comes to make up - 100% clueless. But I ended up getting an ELF highlight / contour set after Christmas when the kits were on clearance. This one had some powders but it also had this little tube of shimmery highlight in it. Every time I've worn it, I've gotten compliments on it. Even my youth girls take note & mention how good it looks. When pre-teens compliment you, you take it! But I'm nearing the end of my tube so think I have to find somoe more.... & break the bank because I think its like a dollar for a tube. Seriously. ... its been the WORST year for sickness lately. ... like trees & flowers & bushes are blooming kinda spring weather. & the bottom is getting pulled out from under us this week & we're back to 'normal' February temps. It's probably going to feel even colder than it usually would. I mean, I had on shorts this week. Putting a winter coat on again is going to be the WORST! Trying to find some cute summer knit projects for my Etsy store. Bring on more evening sunlight!!!! I just finished up Fuller House Season 2... I love that show. I legit laugh & get all the feels from every episode. & come on... NKOTB on for an episode? YES!!!! .... & can we talk about This is Us last night? & last night's episode, if you haven't seen it.... Go in with a box of kleenex. Seriously. I dont think I have cried that hard at a TV show in the longest time. I'm all about loving Spotify for making Disney playlists for running/training. Just a channel full of Disney songs. give me all Disney, all the time. You dont even need to be training for anything to listen - just enjoy all the Disney love. I ordered it, along with a sweatshirt that Disney has & they both were such let downs. First, I bought a T-shirt & sweatshirt a few months ago & they both were so big. so when I went to order these new prints, I got the same size sweatshirt & a size smaller tee. Except these must be made for little kids because the sweatshirt is sooooooo much smaller. Like if I wash it in anything other than a cold hand wash, I can hand it down to my 12 year old nieces & it'll fit them. & the tee? ... it fits like scuba gear. SUPER TIGHT. So I just sent it back to get a size bigger - which I still think will be tighter than I prefer, but still, gotta have... but looking at the site, they're sold out so I'm thinking I'm not going to get anything back but a credit. The start of the Triple Crown of running begins. 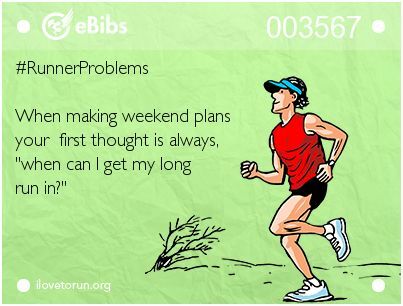 ... the dreaded 10 miler. Remember my post on Monday about the REAL burger when it should have been a veggie burger. Well, Monday night, I ordered some nachos for Ricky & I after a run & took dinner home. Looked down & thought, that looks funny - & put on my glasses because I basically cant see anything closer than 2 feet in front of me... & what's on it? MEAT! Stupid gross nasty meat! Ricky's had meat on it too. I'm starting to cop some really big food trust issues lately. we've been spoiled here as well...today is going to be 15C and then it's going to snow tomorrow. WTF?! I've been watching This Is Us 'cause it's gotten so much hype. I'm usually an episode or two behind since I watch them on OnDemand when Mr. Sass isn't home since he doesn't care. But, it's still just NOT Parenthood for me. I feel like every episode is sort of a letdown, like, I can't stop watching, and it makes mentions of Pittsburgh, which, HOLLA, but, I want more feels and I don't get them, so maybe this episode will once I catch up. Loved Fuller House too-- the only thing that bugged me a little bit about the second season was that I felt like there were some inappropriate/adult jokes that just weren't needed. I'm a few episodes behind on This is Us, but am definitely gearing up for all of the emotions when I watch. 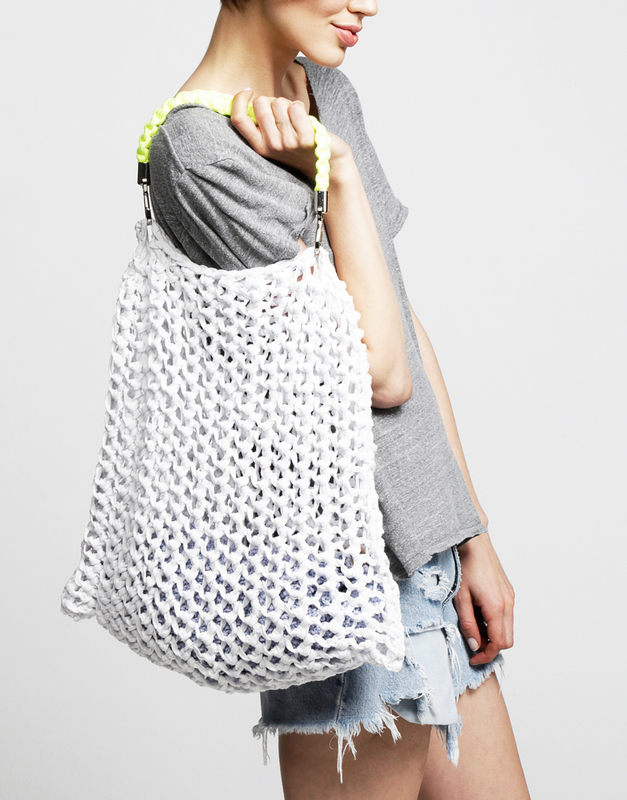 Those knit bags would be perfect for the beach! So frustrating that you guys got meat on your food twice, when it's supposed to be vegetarian! I HATE when I order a shirt that I'm excited about and then it doesn't fit correctly. I'd be even more fussy if I had to go through that over and over like you have! I will have to try that e.l.f. shimmering facial whip! And I started the 2nd season of Fuller House but I haven't finished it yet! Thanks for the reminder! I am so excited that it's not pitch black when I walk out of work now. I hope you get your tee back soon; I think it's so sweet how much of a love you have for Beauty and the Beast. It's one of my absolute favorite stories too. First, I need to tell you that I LOVE my Thrive eye liner!!! and what I love most is that it doesn't smudge, even if I sleep in it!! But also it comes off easily when I wash my face. Some waterproof makeup is like cement!! Thanks for the tip! That bag!!! I LOVE it!!! I would so buy one! I love fuller house 2. I went through all the episodes the minute it came out! and This is Us.......oh my word that show! Last night was heart breaking and I can't believe William will not be on the show any more :(!!!! I definitely teared up watching This is Us. Ugh, that show is so good. And I love the fact that the past is set in Pittsburgh. So cool. ALSO - Friday is my birthday & it's supposed to be 75 here. WHAT!? Pretty sure I've never worn shorts on my birthday EVER so this will be an absolute FIRST!! Those knitted bags are so cute! I also am counting down the days until the time change! I seriously cry every episode of This Is Us at some point. I haven't seen last nights but I saw a tweet warning people that it was a tear fest. I will have to try that Elf stuff! I like the price tag. Last night's episode...tear jerker, that quote from it in the post...holy cow that one got the tears going! Mr. says why do we watch this if all you ever do is cry? I tell him because it's so good! Those knitted bags are so cute, I would get one if you made them! Yes to Fuller House, it was good this season too, I hope it comes back! I haven't watched This is US yet, it's still on DVR but now I can imagine what happens. I wish I could find make up that actually makes a difference on me. If you saw me in real life you would notice that I have a huge scar on my cheek that I always try to cover up. My plastic surgeon suggested Jane Aredal cosmetics but I haven't gotten around to making that commitment. I hate buying a "color" when I can't match it up to my skin. 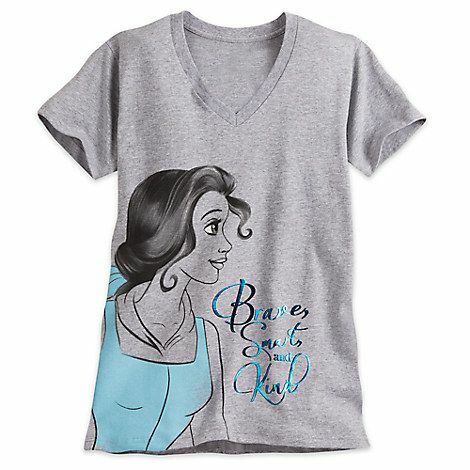 Sorry to hear about those Belle shirts. Are you running the 10 miler in April? Is that part of the Kentucky derby series? I'd like to do that race some year. We're nearing summer weather this weekend. I hope yours stays nice too! I am so excited for the time change too! I cannot wait for more daylight!! I am super excited about the time change. Now only if I can get some good weather here. I watched This is Us last night and cried so hard. I was sobbing. Especially when that quote was said. My heart hurt so much and now I am really scared for what will happen with Jack and how they will do that episode. That show is soooooooooo good. I can't get enough. I will have to try those Sweet Earth burgers when we go to Whole Foods next time. I tried Gardein's burgers and I love their other stuff but the burgers were just okay. I love the Sweet Earth burritos. I'm going to check out that shimmering facial whip. I need every bit of glow right now haha. I hate when my food order gets messed up! I have Taco Bell trust issues because of this. I've kept Baker home from church the past two weeks because of all the sickness! The last thing we need is a sick baby and it's been running rampant around our town! And This is Us...I watched it at work (shhh!) and shouldn't have because I was sitting at my desk trying to hold back tears. Haha!